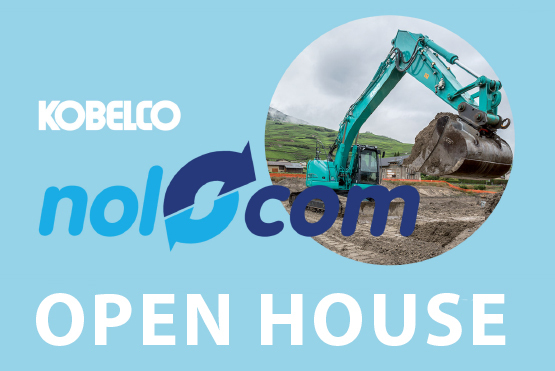 Nolocom Open House - Kobelco Construction Machinery Europe B.V.
Nolocom – Kobelco Dealer in Italy – is hosting an Open House on 6th October 2018 and you are invited to visit their premises at Via Genova 11M, Cuneo. The event will commence at 9 am and all the guest will be greeted with an aperitif. During the day the following machines will be presented: SK210, SK55, SK45, SK28, SK17 SK10 and Nolocom team will be there for you to answer any questions you may have. For more information please follow www.facebook.com/nolocom.it or contact Nolocom directly +39 0125 921004.